Business development incorporates strategic analysis, sales and marketing. The business development professionals search for new business opportunities and utilise those opportunities to generate more revenue for the company. “New business opportunity” is a vast term and may mean exploring new markets, implementing new methods to reach current markets, establishing new partnerships with businesses, utilising new services and products to meet the needs of the existing market in a better way. Therefore, a business development professional can be involved in various processes such as development of products and services, formulating market strategies, generating sales leads, negotiating and closing deals. You will find business development department in all industries starting from technologies to huge pharmaceutical companies. What will be the jobs of business development staffs will depend on the type of industry and size of the organisation. What business development professionals have to do? The most significant role of business development specialists is to identify new business opportunities. In order to perform this duty successfully, you will have to do several other things. First and foremost, you need to stay updated about what is happening in the industry, what the competitors are thinking in regards to products and service offerings, their prices, marketing strategies and so on. You also need to comprehend your company’s strategies, how your company is performing in comparison to the competitors and the concept of the customers about the company. Another essential factor that a business development official cannot afford to miss out is the market. They need to study the customers who comprise the market and changing market scenarios. As a business development official you have to use your creative instincts to identify new ways to improve company’s sales. You need to set priorities among the identified opportunities. In order to do this a business development official usually compares potential returns that each new opportunity may generate if the company exploit that opportunity properly. Negotiating with other organisations for taking advantage of your identified opportunities, is also a part of the business development professional’s job. Talented business development officials close most of these deals successfully. A particular job that you will be doing as a business development officer in an organisation, especially in a software company, is that finding out and finalising partnerships with IT consulting firms. A career in business development will entail the implementation of varying degrees of sales and strategies. In some companies, business development people will focus on achieving new corporate sales account and others will concentrate on new product development. Business development jobs involve multiple functions and require collaboration with sales, engineering and marketing teams. A business development team applies strategies and determines how the company will be operating tomorrow. Who can prosper in this field? Those with strong business acumen can do well as a business development executive. Strong research skills, ability to analyse new business opportunities, quantitative and analytical skills, excellent and communication skills will keep you ahead in this competitive job environment. The best way to step into a business development career is to gain experience in finance or corporate sales. Business development jobs comprise of three main layers partnerships, sales and strategic planning. Most of the jobs in this sector blend these three layers, but a single layer may get emphasis in this process. A bachelor’s degree in marketing, business administration or finance is a minimum requirement for a business development career. 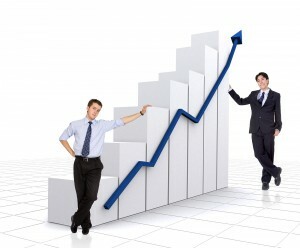 MBA in finance or marketing is often preferred for any business development position. This role in the highly technological firm will demand for a technical background along with experience in related fields. Recruiters often seek a candidate for this position, who has an eye for details, great communication and analytical abilities. Establishing a network with those working in the business development department will be advantageous to gain this position.